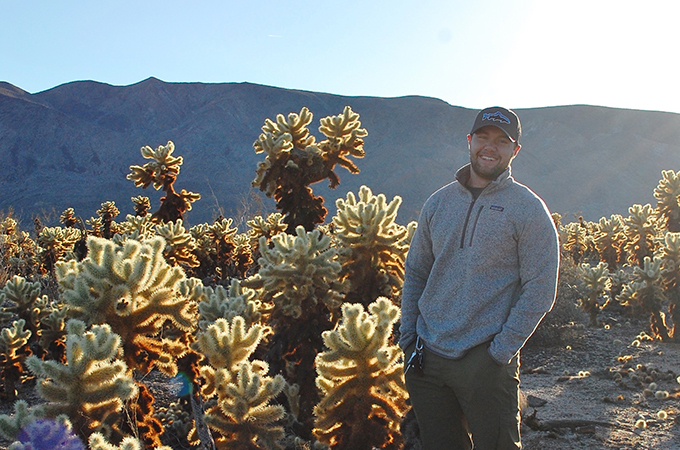 Six days after graduating from the University of Redlands, Jakob Larson ’17 was hired to manage the geographic information systems (GIS) operations for California’s largest land preservation system—and he says it’s all thanks to his Redlands education. “All of my professional experience came from being a student at Redlands,” Larson says. After taking his first GIS class during his sophomore year, Larson jumped at every opportunity involving environmental data collection. As a 2015 Ifft Science Researcher, he examined the effects of the California drought on agriculture. As the GIS manager and climate change analyst for The Wildlands Conservancy, a conservation non-profit working to preserve biodiversity and promote outdoor education, Larson manages the mapping and spatial analysis for the organization’s preserves. “It’s a relatively new position, so they also want me to lead the charge toward developing a more connected GIS department,” he says. 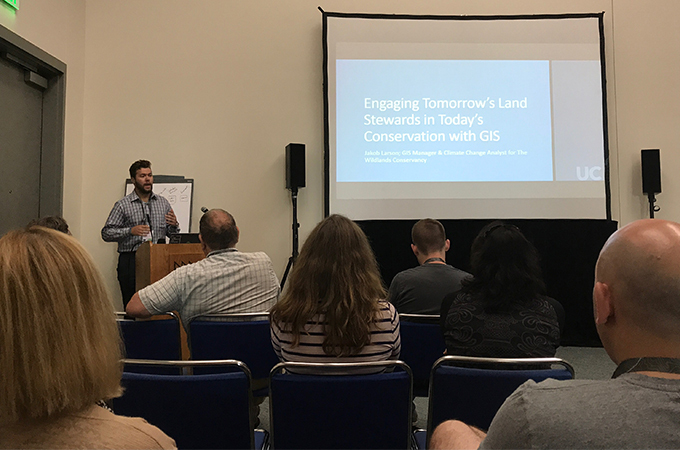 Larson presents some of his work from the conservancy, including case studies conducted in partnership with students from local schools, at the July 2017 Esri User Conference in San Diego. Learn more about University of Redlands, a leader in spatial education.